"He's got a heart of a lion, and the brains of a judge." Icon has revealed a trailer for an action-thriller titled 6 Days, telling the true story of the attack on the Iranian Embassy in London in 1980. The standoff lasted for six days, with a group of SAS soldiers eventually breaching the embassy to put an end to the horror. 6 Days is the latest from the director of the Maori action film The Dead Lands. Jamie Bell stars as one of the special forces soldiers who is tasked with leading the raid. 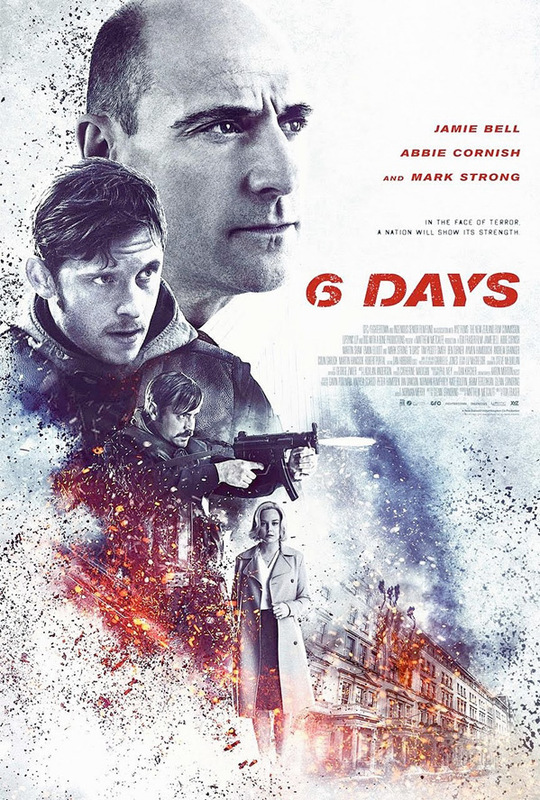 This also stars Mark Strong, Abbie Cornish, Emun Elliott, Nicholas Boulton, Martin Shaw, and Tim Downie. It was shot on location in London, and around Knightsbridge. This seems to be just a teaser and quick intro, but it looks like it could be good.